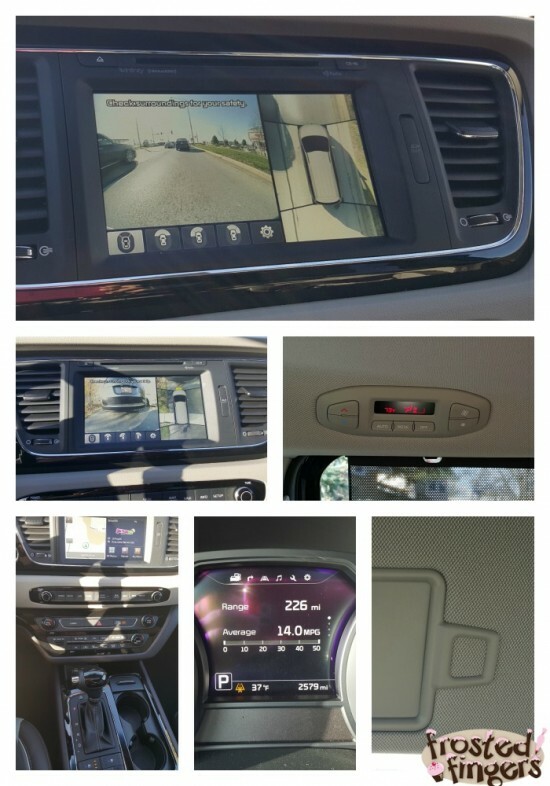 A few weeks ago I was asked to review the 2016 Kia Sedona SX-L. I fell in love with it! I did NOT want that van to leave my house! 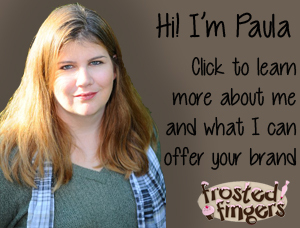 I currently drive a Dodge Grand Caravan and wish we had taken a closer look at the Kia when we were out shopping. One of the first things I found that I love about the Kia Sedona is how you can customize the seats. With a Kia Sedona we could actually have a 6th baby and still use this van where we will have to get rid of the Caravan. There is no 6 passenger in the back option on our current van. With the Sedona you can slide the middle seats so they are together or apart and if you need a bench that fits three in the middle they have that option as well! Another thing I love about the Kia Sedona is the cargo space in the back. It’s really deep and can fit a LOT back there. We took the Kia to pick up bags of food for Scouting for Food. That’s where people in your neighborhood put out a bag of food on a specified day and Girl or Boy Scouts will go around picking up the bags to take to their neighborhood food pantry. Our group collected 2200 items and 1975 pounds of food for our local food pantry. 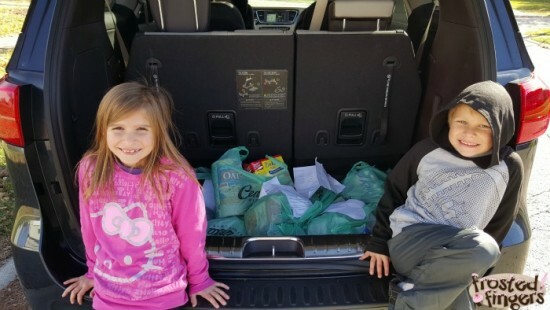 My kids love taking part in Scouting for Food and I was glad I was able to take the Kia out to see how much we could fit in it. Some of the features I really liked about the Kia Sedona were the fact that there’s a little clip under the driver side visor where you cold keep your insurance card or something you need quick access to. One of the other things I REALLY like was that you could turn on the camera when parking and not just when pulling out in reverse. I have issues with judging how much space I have between my vehicle and the one in front of me while parking and also if I’m within the lines, so this camera option is really awesome for me! We did a lot of idling while we were using the van so I didn’t get the best mileage. I was averaging 14 MPG. According to KIA the Sedona should get about 17 MPG city and 22 highway with an average of 19 MPG. 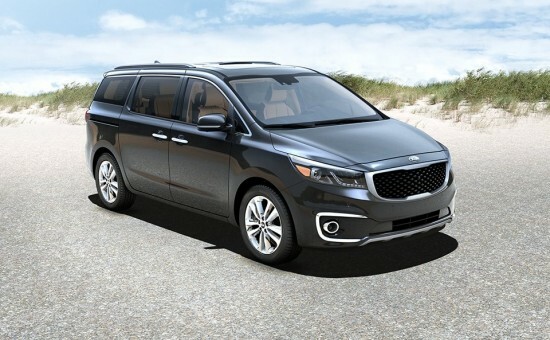 The Kia Sedona starts at $26,400 but the model I drove was $44,690. It was fully loaded with all the bells and whistles. The kids loved having the DVD player. Once I was able to figure out how to let them play the sound over headphones so that I could still listen to music at the same time, I was ok with it. I loved the dual sunroofs and the heated seats and steering wheel. 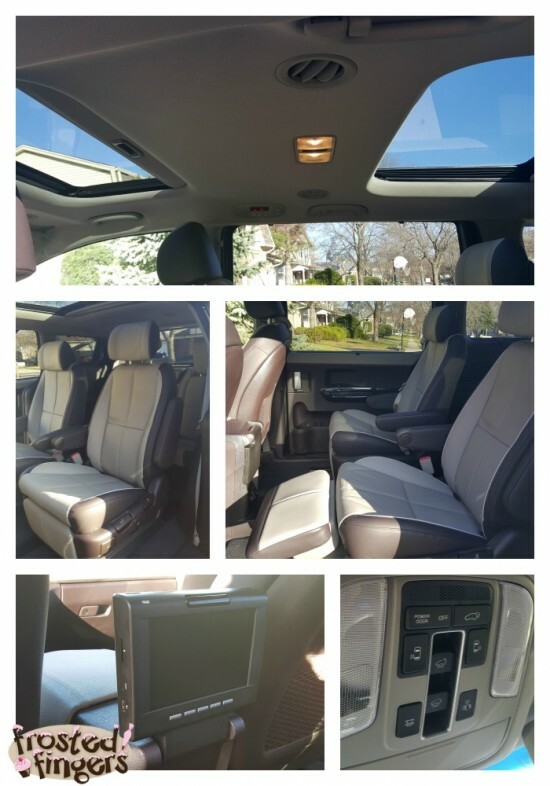 If your family is in the market for a new van, I definitely recommend you check out the 2016 Kia Sedona S-XL. This sounds and looks super nice!I have never owned a van but if I was getting one this looks like one to get.